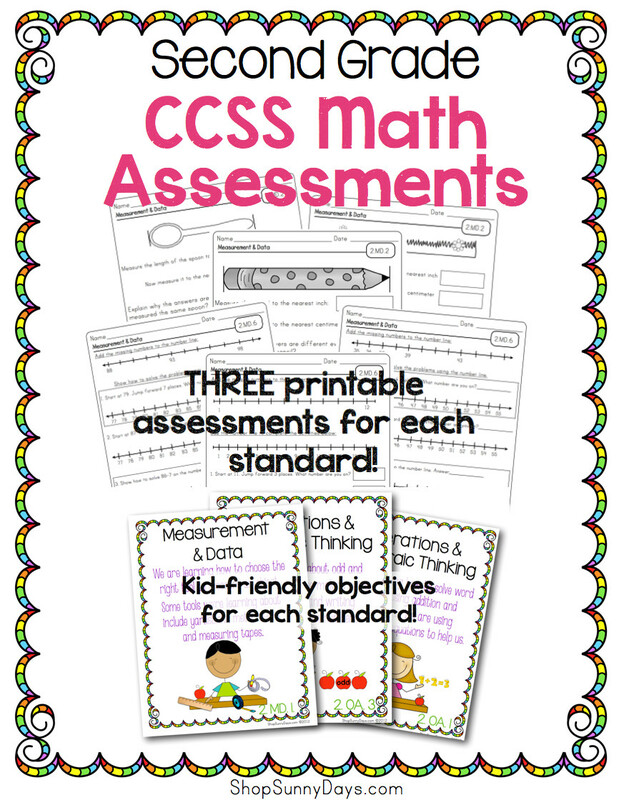 Take the guesswork out of teaching and tracking Common Core Math Standards! Three printable assessments or practice pages for each standard, objective posters in kid-friendly language and documentation checklist! Easily one of the BEST resources I have purchased. It's excellent!! WOW! I love the quality and clarity of your work (I always do!). I appreciate that there is an additional test for practice or for re-testing after a re-teaching session. I LOVE how clear it is for the students to read and how it is tied to the Common Core - this is great!! THANK YOU!!!! oh Denise, you have outdone yourself this time! This update is simply AMAZING.... I feel so much more prepared for standardized testing in 2nd grade (which will soon be starting again for my little ones)... and the posters are too cute for words! I appreciate they they are all in kid-friendly terms too. Thank you so much for making an already great product even better!! This is a MUST HAVE for every 2nd grade teacher! Amazing Resource. I can just teach and assess using every single thing included here! Thanks so much. Another outstanding product from SunnyDays! Every second grade teacher should have this to ensure that their students are meeting the common core standards. Thanks so much!